W&L have come a long way together since they met in church years back. Despite being brought up differently (geographically speaking, in Kuching and Singapore), their beliefs in a common faith, close knitted family ties, and fondness for food have bonded them strongly together. Their desire for an intimate and meaningful celebration resonate deeply with us. 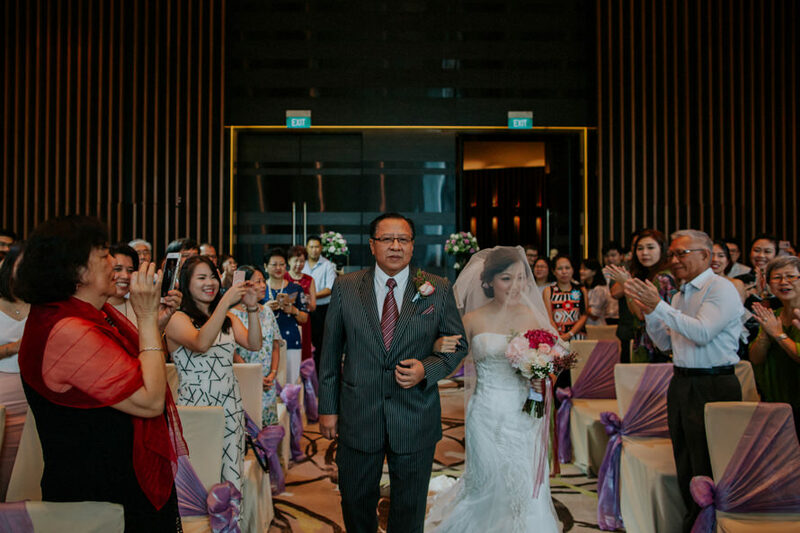 It is simply beautiful when the couple’s personalities are reflected in every aspect of their wedding celebration, overflowing with lots of love and joy. We remember heading back home after W&L’s wedding, with all the fullness of the day still lingering on. It was most humbling to witness W&L being overwhelmed with a rush of emotions by such deep love and respect from their families and friends. From their moving speeches, surprise performances and videos, to their tears of happiness and laughters, we are glad to have documented those fleeting moments and feelings.